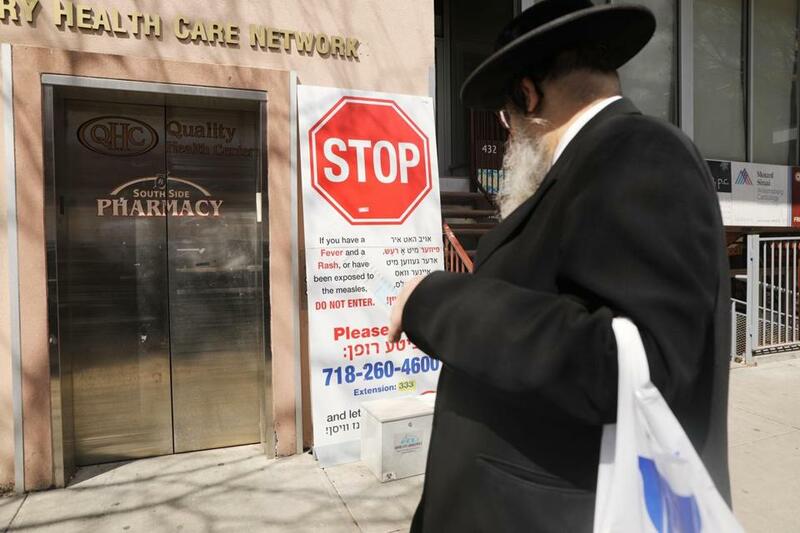 A sign warned people of measles in the ultra-Orthodox Jewish community in Williamsburg in New York City. The letter is in response to Democratic House majority leader Matt Ritter of Hartford, who recently sought an opinion from Tong on the federal and state constitutionality of eliminating the exemption. Ritter said he believes the exemption is being abused and should be scrapped in light of the uptick in measles and other outbreaks across the United States. Ritter angered a group of parents when he said last month the General Assembly should vote on whether to eliminate Connecticut’s religious exemption within the next 12 months. Ritter has noted that three states — California, Mississippi, and West Virginia — currently do not have a religious or philosophical exemption for required school immunizations. While he believes excusing Connecticut’s exemption would be permissible under federal law, he asked Tong to review the claim that it would violate Connecticut’s constitution, which includes a provision for free and equitable education.